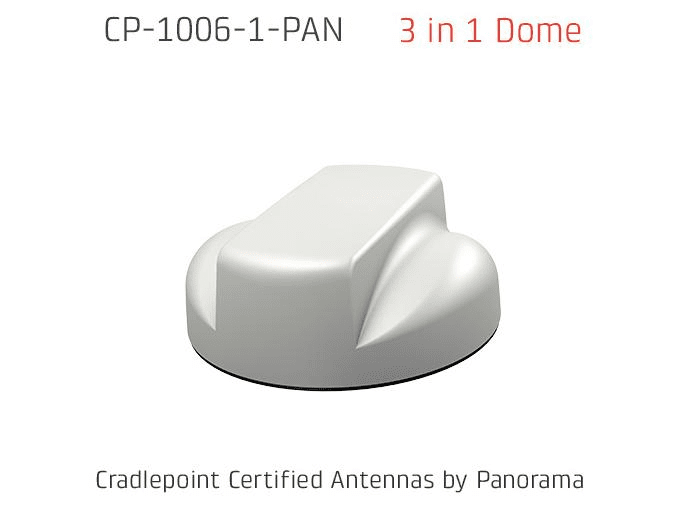 Low profile Dome, 3 in 1 Antenna: MiMo 2G/3G/4G LTE, GPS/GNSS, 5m/16 cables for use with IBR600, IBR900, IBR1100. FirstNet compatible. Cradlepoint Certified Antennas by Panorama.